IMPORTANT: We are no longer accepting registrations at this location. Please visit https://www.cloudera.com/about/training.html to see our current offerings and complete your registration. See below for more details. IMPORTANT: Registrations will no longer be processed through the Hortonworks University site. Please visit HERE to see our current offerings and complete your registration. NOTE: If you have previously attended Hortonworks training, purchased Self Paced Learning or Certifications, instructions for accessing your Hortonworks University account can be found HERE. This course is designed for ‘Data Stewards’ or ‘Data Flow Managers’ who are looking forward to automate the flow of data between systems. Topics Include Introduction to NiFi, Installing and Configuring NiFi, Detail explanation of NiFi User Interface, Explanation of its components and Elements associated with each. How to Build a dataflow, NiFi Expression Language, Understanding NiFi Clustering, Data Provenance, Security around NiFi, Monitoring Tools and HDF Best practices. Regularly scheduled live micro-learning sessions will also be delivered by Hortonworks University Instructors to discuss various course related topics to further enhance and supplement the self-paced content. Note: This course does not have an accompanying downloadable virtual machine for labs. However, you can perform the lab exercises on the latest HDF Hortonworks DataFlow Sandbox. 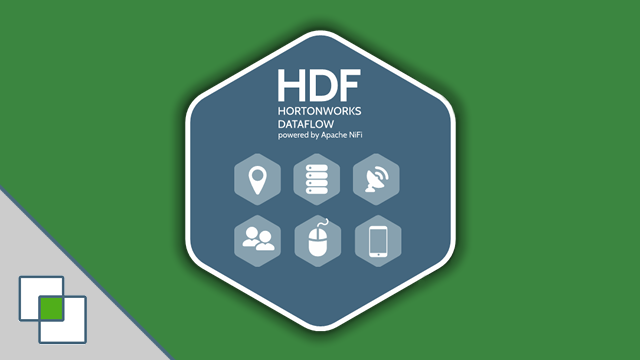 To download the HDF sandbox, please visit: https://hortonworks.com/downloads/#sandbox and select the latest “Hortonworks DataFlow - Automated (with Ambari)” download.